For the email subject title, please state "Order" if you're 100% sure in purchasing. Otherwise, please state "Enquiry" in the subject title. All prices listed are in either Singapore Dollars or US dollars or Euro, depending which country you reside in..
Once you send us the order email, please check for our confirmation email within 24 hours. Please take note that items are reserved for only 24 hours, after which if we do not hear from you, items will be released out. Please make your payment within 24 hrs after receiving our confirmation email and REQUEST payment email via "PayPal". Otherwise item will be given to the next potential buyer. 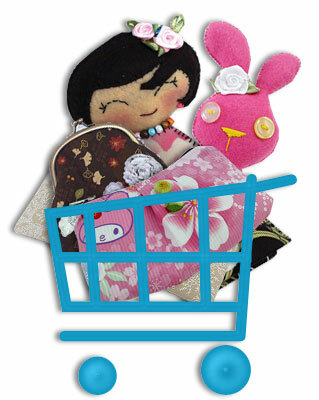 The postage rates are ranged from : S$7.20; to S$30.00 or more per item(depending on the weight of the product). Combine shipping are welcome as you will pay lesser than buying individually. For each additional item, there will be additional postage rates ranged from S$1.00 to S$5.00 or more (depending on the weight of the product). Do not worry! I will not over-charge you for the postage. I will refund any excess postage charges via "PayPal" once I have mailed your order. The item is ready to be mailed on the first working day after receipt of full payment via "PayPal". Another alternative, if could click at the links from each of the product (picture) from my products page, it will go directly to my e-commerce store of lilyhandmade.etsy.com This handmade hub has different platforms in English,German,Dutch and French.